Free tool that provides many awesome facilities to make the birthday celebration extra special. Creat birthday photo frame collage with your friend pictures now. People love to make a photo collage to impress friends and relatives. It is good to create a birthday photo frame collage with pictures of the celebrant and share. Even, you can update it on your Whatsapp status or Facebook. 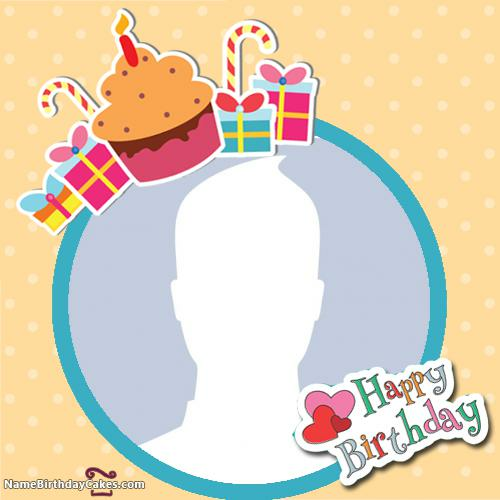 Use our free tool and create happy birthday frame with you love one photo. Wish happy birthday in a unique way. One thing keep remember, uploaded picture should be in the square size. If you need more ideas then explore our website. You will find a lot of ways of wishing birthday online. For the present, enjoy the below birthday frame.